The Wind Coat is the longer version of our Wind Jacket. All Kiss jackets are lined in black silk charmuese and are ultra-light, with minimal bulk. 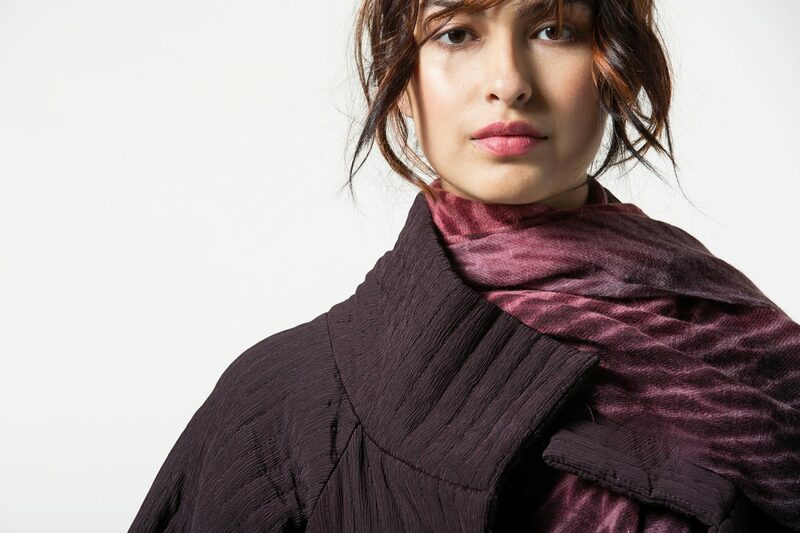 Cassis Wind Coat, direct-dyed crinkle silk. 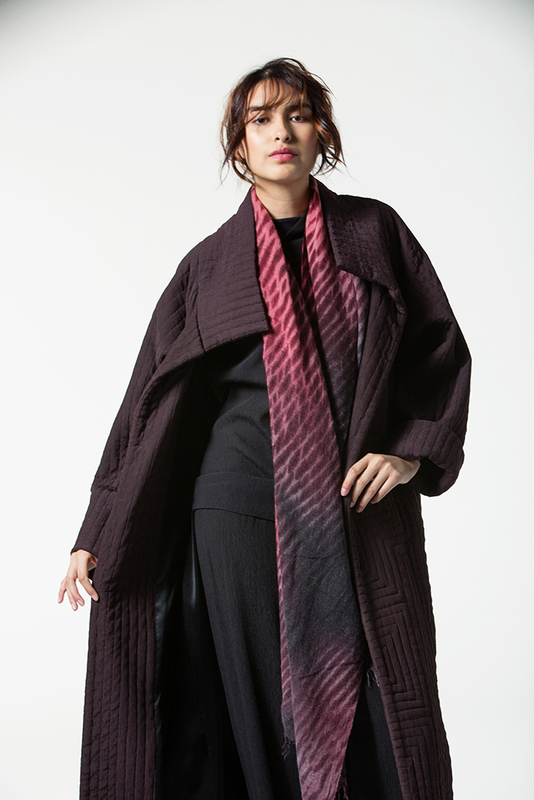 Shown with black and grenate Shibori Summer Weight Cashmere Shawl, Top w/Neck and Palazzo Pants.